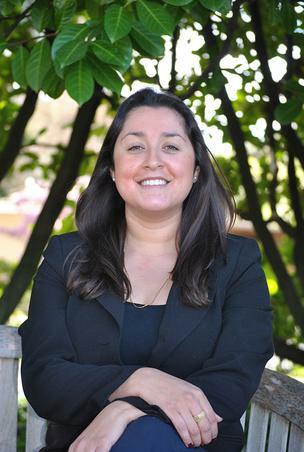 When meeting Laura Martinez, a 28 year old councilmember of East Palo Alto, one can’t help but be impressed. At age 22, she was elected Mayor of East Palo Alto – no doubt an exceptional woman. She grew up in East Palo Alto and left for a short period of time to attend Whittier College. Upon graduating, she returned with a college degree under her belt and a passion to invest in her community. She is now the Afterschool Recreation Director at East Palo Alto Phoenix Academy, an Aspire public school serving 300 students in grades 7-12. Laura is a soft spoken, idealistic woman who has ideas for tackling crime by working with teens. Out of school teens are at the heart of the city’s crime. She told me that crime gets worse in EPA and other cities during the last quarter of the year, so she is thinking intently on solutions to these issues as we enter this time of the year. With outstanding and youthful talent like Laura, things are looking up in East Palo Alto.